Most people know that a speech, movie or year has to have a strong beginning but an even stronger end in order to be memorable. 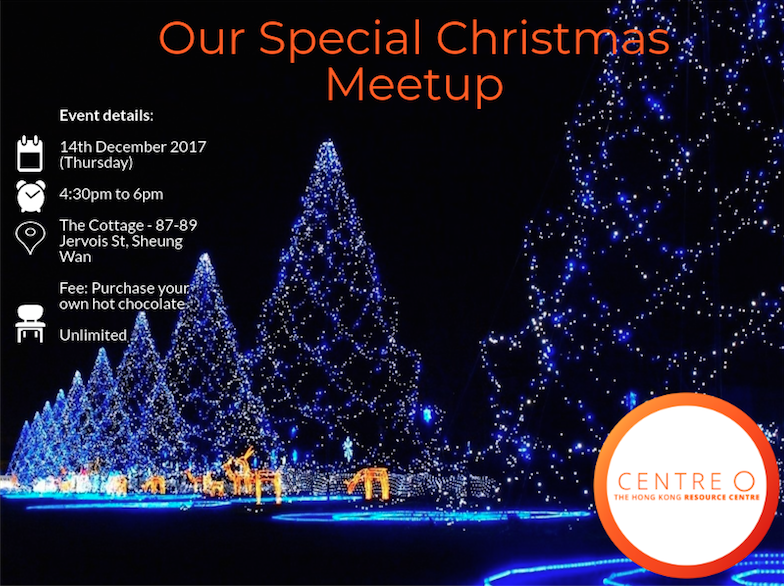 Therefore, we decided to upgrade our last meetup of the year. It is December month, so why not top this event by getting into Christmas spirit with tasty hot chocolate with marshmallows. The Cottage will prepare this for our special occasion and for your greatest pleasure! We hope you will Join us with your friends and colleagues. We promise that you meet like-minded people from diverse industries for a cozy gathering. Also, it will be a great opportunity for you to share a nice moment before Christmas holidays start! As usual, you will also benefit from networking with the entrepreneurs’ community present in Hong Kong to enlarge your personal and professional network. We look forward to drinking a cup of delicious chocolate and wish you all a nice Christmas holiday. Happy Christmas from the Centre O team.